S 1/c Floyd M. Tidwell, son of Mr. and Mrs. D. Tidwell, attended Davidson High School; husband of the former Nina Lee Reeves. 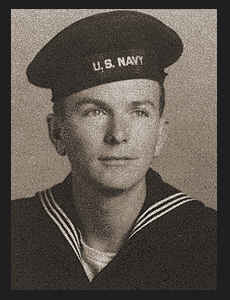 Entered Navy in July, 1944, trained in Camp Peary, Va., and Norfolk, Va.; served in Pearl Harbor where he is now on duty. Awarded Asiatic Pacific Ribbon.